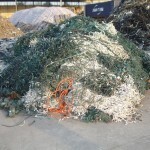 As much as I hate people and organizations who show me how much damage my lifestyle is doing to the environment just when I’m in the midst of enjoying myself … below, two images of American Christmas lights piled up in a Guangdong scrap yard. To the left, the pile, to the right, a close-up. Click to enlarge. Now, before people start feeling all (white) guilty about sending this stuff to China, let me offer some reassurance. 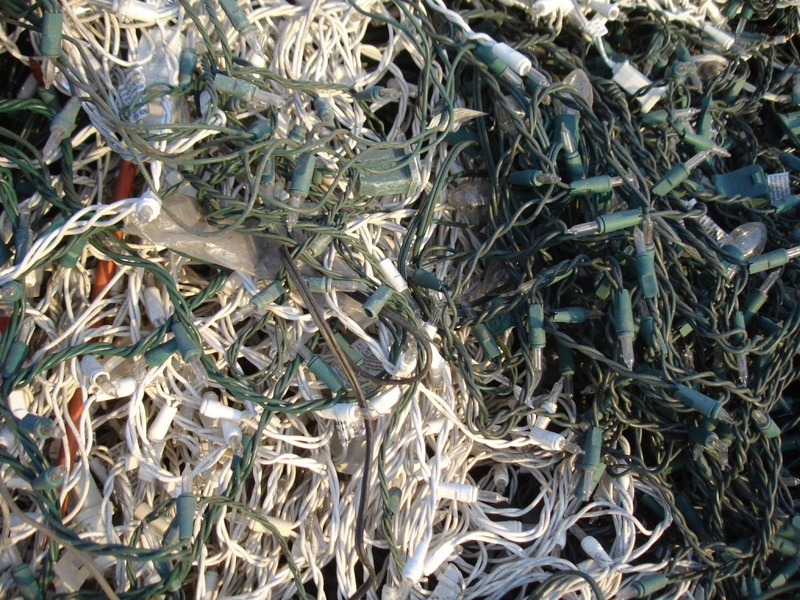 In the US, this kind of thing typically finds its way to a landfill (Americans don’t tend to bring their old lights to the local scrap yard – though they should). 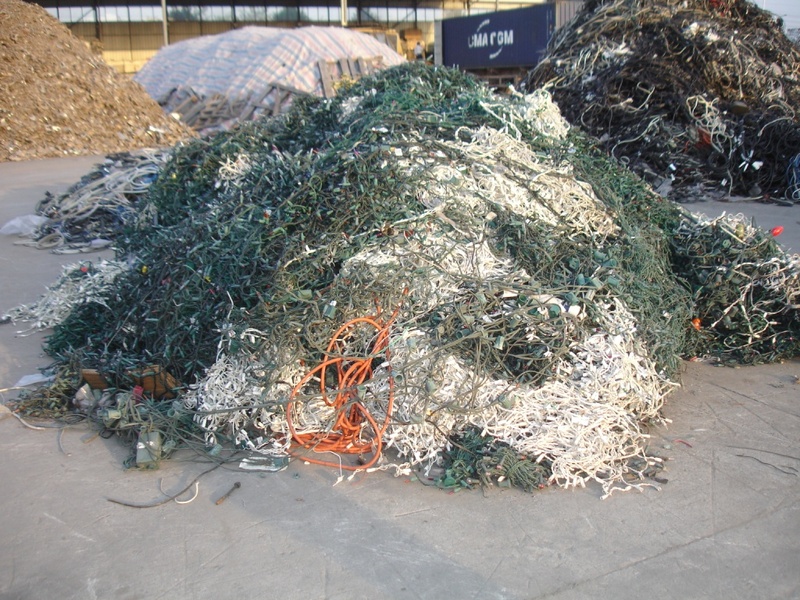 In China, if it makes it over here, it’s recycled in wire chopping plants that recover the copper and the rubber at a fairly high rate. 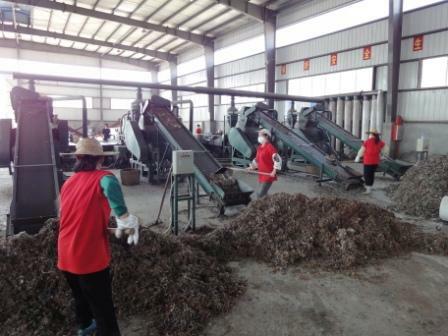 After the jump, a couple of images of a chopping plant in Guangdong. Below, low-grade American insulated copper wire (of somewhat higher quality than Christmas lights) going into the choppers and sorting system. And, in the next image, the sorted copper – ready to be sent to the smelter down the highway – or, if they want it, manufacturers of new Christmas lights. This entry was posted in Environment, Scrap by Adam. Bookmark the permalink. 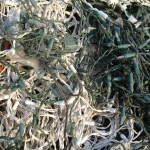 Do you know how much Christmas lights are sent to china every year? last month i saw on tv about the dumping of american electronics in china and destroying the enviroment. i cannot belive what i saw to be true, because of the current value of plastic,lead,copper. etc.is this what you are seeing? Bob – I suspect you saw the 60 Minutes and/or Frontline report. No doubt, the US still sends a significant quantity of electronic waste to China, and most of it is processed in a manner that is destructive to the environment. However, it IS processed – that is, much of plastic and metal is recovered from that waste (albeit in an environmentally unsound manner). 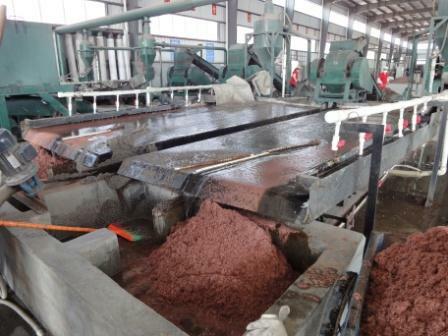 What the Frontline and 60 Minutes reports DON’T tell you is that the majority of e-waste in China’s electronic waste processing workshops is actually generated in China — including much of the material shown in their reports.